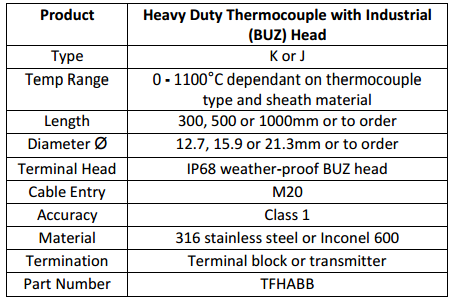 Heavy duty thermocouple with flip top (BUZ) terminal head for use in industrial applications. 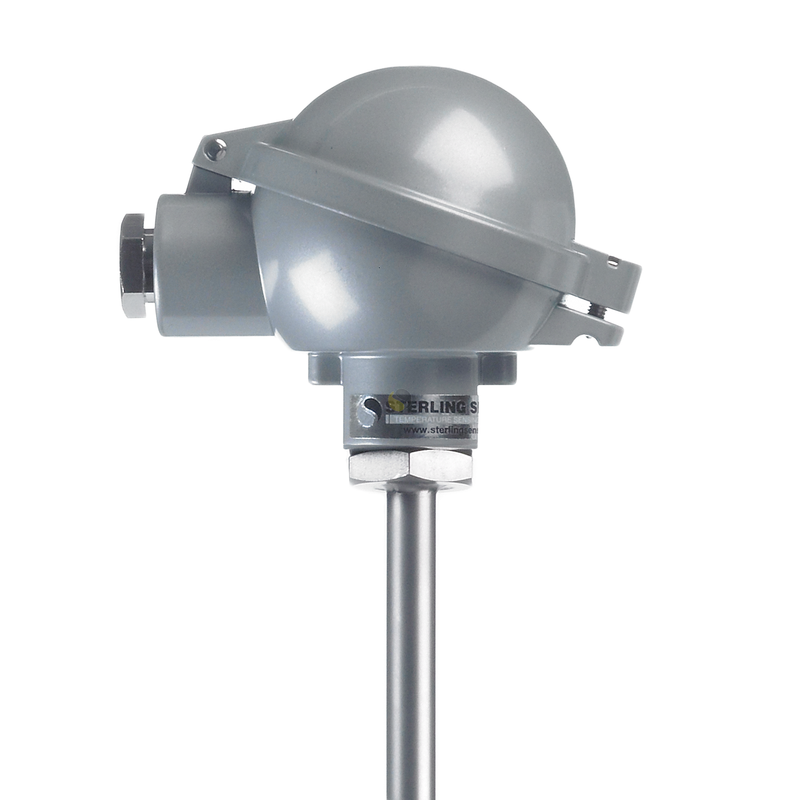 These industrial sensors are available with a fabricated stainless steel (316) or Inconel 600 sheath, which houses an integral type K or J thermocouple (R or S calibrations can be requested also). Standard sheath diameters are 12.7mm, 15.9mm and 21.3mm with compression fitting and flange options to suit, other diameters are also available upon request. 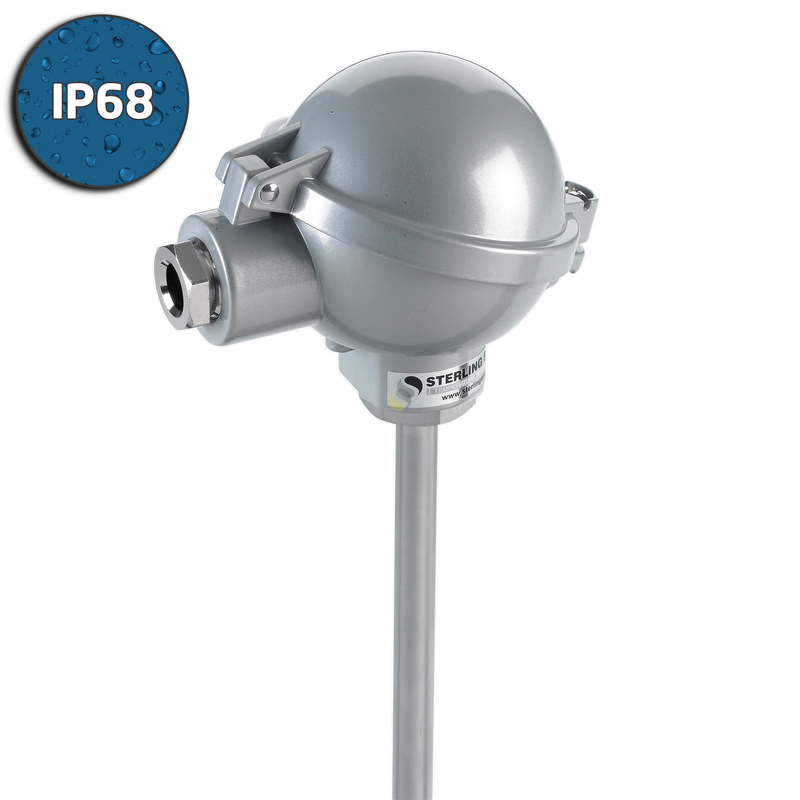 The flip top IP68 weather-proof head is commonly used to terminate these heavy duty probes. It has an M20 cable entry and comes with a ceramic terminal block or optional in-head transmitter.